Welcome to Bionomic Industries’ website where you will be able to identify and select the right products for your application from a complete line of wet and dry scrubbers, adsorbers, dry collectors, electrostatic devices, mist eliminator vessels, NOx control chemistry, product recovery and by-product production systems, direct contact heat exchangers, air strippers and full accessories through completely engineered turnkey systems. As the industry leader in conventional and advanced gas cleaning and recovery technologies for more than 40 years, Bionomic Industries experience and know how is solving hundreds of difficult applications, field proven in over 1,000 successful installations worldwide – You can be confident in our ability to remove even the most troublesome gaseous contaminant, particulate, mist, aerosol or odor causing pollutants, or turn that pollutant into a valuable product better than anyone else. You'll find the best products for your particular industry and application to comply with and meet PM10 and 2.5 particulate standards, opacity requirements, control odors and mists, abate hundreds of hazardous toxic compounds from processing and production operations, combustion sources and waste treatment, and economically reduce abatement costs through product recovery of specific compounds, and or save energy through waste heat recovery from a multitude of hot gas sources... and much more. If you are unsure of the technology that best fits your requirements, can’t find a solution, or wish to discuss a particular application, let us assist you by phoning us and ask to speak to one of our technically knowledgeable sales engineering specialists. Our engineer will work closely with you to solve your problem and prepare a customized sales proposal designed to meet your exact requirements. 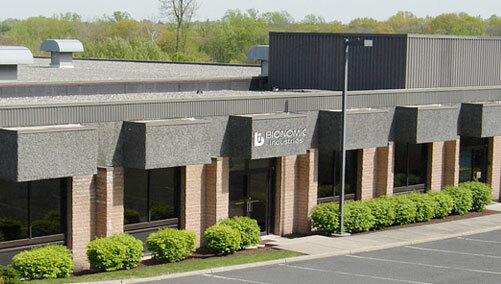 As your Clean Air, Product and Heat Recovery Solution Partner, Bionomic Industries has a simple mission — to provide complete, high-quality, long-lasting timely solutions to meet your most demanding application and project requirements. A thick gray haze enveloped India's capital on Tuesday as air pollution hit hazardous levels, prompting local officials to ask that schools shut down and a half marathon scheduled for later in November be called off. The Environmental Protection Department recorded higher than normal pollution levels in the city, with air quality in both Tuen Mun and Yuen Long measuring over 10 for health risk – the most serious ranking.